Have you ever watched a video on youtube? I know you all have watched. Did you upload any video to youtube? Sometime already done this before. How many views you got and how many subscribers you got? Have you ever thought about why some videos getting millions of views and why all not like that? Before giving answers to this question, let me introduce youtube. Youtube is the world largest video sharing website and is owned by Google. There are millions and millions of videos have already stored on it and the collection is going to increase daily. Now, most of the people have addicted to this and spend a lot of time to watch videos. You can easily register to the youtube with your Gmail account. After sign in you can upload videos. Both Facebook and Twitter now trying to challenge to the youtube However, they still fail to do compete with this giant. Youtube got the 2nd place in the Alexa Ranking bypassing Facebook. It means people now using youtube than facebook. Youtube receives over one billion daily visits and they hope this will increase in the future. If you already have a youtube channel or hope to start a channel in the near future this guide will help to take your channel to the next stage. You should have a proper plan to implement your channel. Plan how to shoot a video and what kind of camera do it quality. Your video should not too long and rich in content. Keep always mind the word ‘short and sweet’. Don’t think about trending ways. Believe your talent and produce great video according to your own system. Do research and study what other top specialists did. I suggest you take a paper and note down important facts. Then you can shoot the video by reminding those things. The title is the first few words seen by the people. Don’t put long titles. Always try to keep your title under 50 characters. Produce a descriptive and engaging title because it plays a major role in SEO. Therefore you must include targeting keyword under this title. Use Google Adwords to select the best title. Where you can see most people searched keywords in the recent past. Keep in mind to don’t repeat the same word again and again. Before uploading videos to the youtube, I suggest you customize all the things in your dashboard because this factor helps people to trust you and identify you. Upload an eye-catching profile picture and cover photo. Add your bio short with correct information. Make a custom URL for your channel and this looks channel professional. Like title plays a major role, description plays another important role to rank your video on top. Always include the well-written description for each video. You should include the targeting keywords to this description again. If you want to refer your viewer to another website, include it in this description. When browsing a something on youtube you like to click the most beautiful thumbnail included video. Actually, this is a nice trick to get more views. Add an eye-catching thumbnail to the front. Research has proofed the videos under five minutes perform better than long times. Everybody loves to take the necessary thing in a short manner. So, schedule your video under 5 minutes. If you upload videos regularly with short intervals there is a huge opportunity to get subscribers easily. You can see many top YouTubers frequently update their channels with fresh things. Try to upload 2-3 videos per week or make an uploading schedule. This may be one video per week. This method helps to any viewer watch your next videos again and again. You can ask your visitors to subscribe to your channel and share it on every social media channel. You can say follow your other social media accounts too. I saw many top vloggers do the same thing in their videos. Do you still think niche YouTubers are competitors? Actually, it is the wrong mind. Your niche related vloggers are the best friends because they can drive additional traffic to your channel. Please connect with them and build up a friendship. You can mention them in your channel. With this method, they will also mention you in their videos. This is a win-win situation and both can get more benefits. There is an option to add the related channel in the dashboard. You can add your niche channels to it and they also can include you to their list. This will awesome to get traffic for both. I recommend you to start social media profiles with the name of your channel. 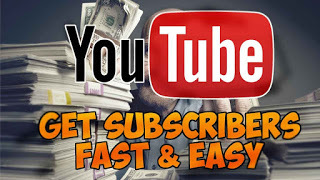 This will help you to drive a lot of subscribers and traffic. Nowadays you can’t plan any online business without social media marketing. Start a facebook fan page and get likes from your targeted audience. You can use Facebook ads to do that easily. Set a budget and promote your page with Facebook ads. Google plus pages and LinkedIn are the other two social media channels you must work on. Try to develop your channels with learning tips and tricks by the experts. Getting more subscribers helps to get more views. Definitely, you can earn more money with a lot of views. I recommend you to apply those things to your channel. Always make high-quality videos with great content. When receiving a large number of views, you can think about the monetization part. I will bring a post on how to make money with youtube in the near future. Therefore please share this blog post in your social media profiles.